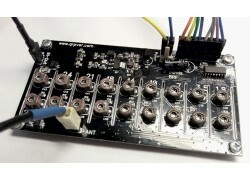 This synthesizer is an extended version of the previously made HF EASY synthesizer. Ability to select the desired ranges in the settings menu. 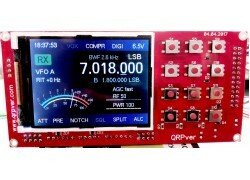 Continuous range of reception / transmission (WIDEBAND TRX MODE), expanded in its capabilities. Select the desired memory location using the Up Band and Dn Band buttons. 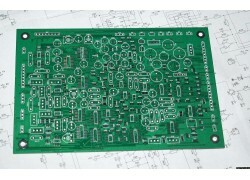 Modulation LSB, USB, CW, AM. The ability to select the modulation used in the settings menu. Input from the keyboard frequency TRX. Support for encoders with a large number. ticks per revolution, is adjusted by the divider in the settings menu. Dynamic frequency tuning function per encoder revolution. The detuning of the RIT + is 10kHz. Step 1, 10, 100 Hz. Controlling the main encoder. Indication of the input signal, power and the input supply voltage. Invert the colors of the screen, for comfortable work in sunny weather outside the room. Electronic iambic key (10 - 60wpm), mechanical key. SAT. The Kenwood protocol (TS-440S, TS-480). The speed is 57600, 115200 baud, data bits 8, stop bits 1. 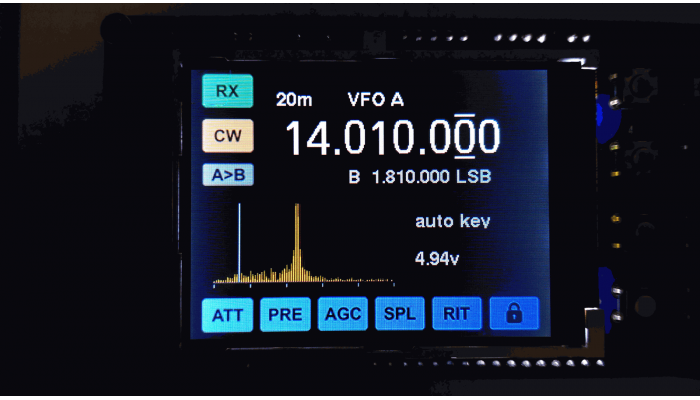 The option in the BAND FREQUENCY MIN menu is the minimum receive / transmit frequency from 100kHz to 29.95MHz. 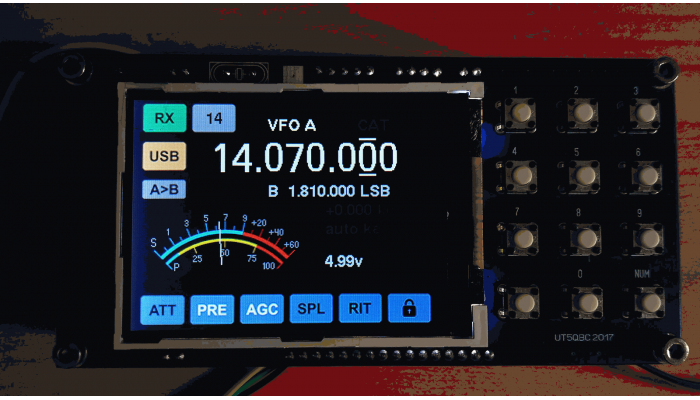 The option in the BAND FREQUENCY MAX menu is the maximum receive / transmit frequency from 150kHz to 30MHz. otherwise the synthesizer will set these frequencies to the default (500kHz and 30MHz). You can set the desired number of bandpass filters (DFT) by dividing a wide range of TRX into sub ranges. Option in the menu NUMBER OF SUBBANDS from 1 to 16 DFT. The output code for the decoder is 0 - 15. 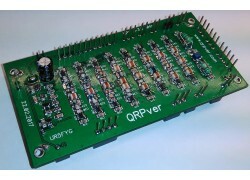 We use 4 DFT for the entire continuous range (500kHz-30MHz). We consider the parameters for the DFT. 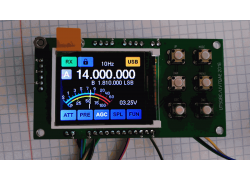 bandwidth = range / number of subbands = 7375000 Hz bandwidth of the DFT. TRESHOLD OF SAVE DATA - the threshold for saving the current synthesizer data (frequency, ranges, modulation). If the voltage drops when the voltage reaches the set threshold, the current operating state of the synthesizer will automatically be saved. The next time the power supply voltage is applied, the synthesizer will be restored to its previous operating state. 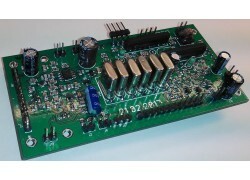 The power supply of the synthesizer is 9 volts. TRESHOLD OF SAVE DATA = 7 volts. Function of viewing the spectrum of the received signal (0Hz - 3KHz). 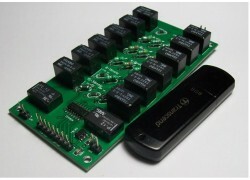 with a capacity of 1 mph, also create a displacement of 1.65v at this ADC input by 10k resistors.